“I use the ordinary and create tales to make it magical – where anything is possible”. She studied art at the Norwich School of Art and Design where she obtained a Fine Art BA (painting) in 1992 followed by a Fine Art MA (multi-disciplinary) in 1995. Louise Richardson currently teaches Textile Design at Norwich University College of the Arts and is Visiting Artist at the Norwich School. Memory and identity are the main ideas which she is currently looking at. 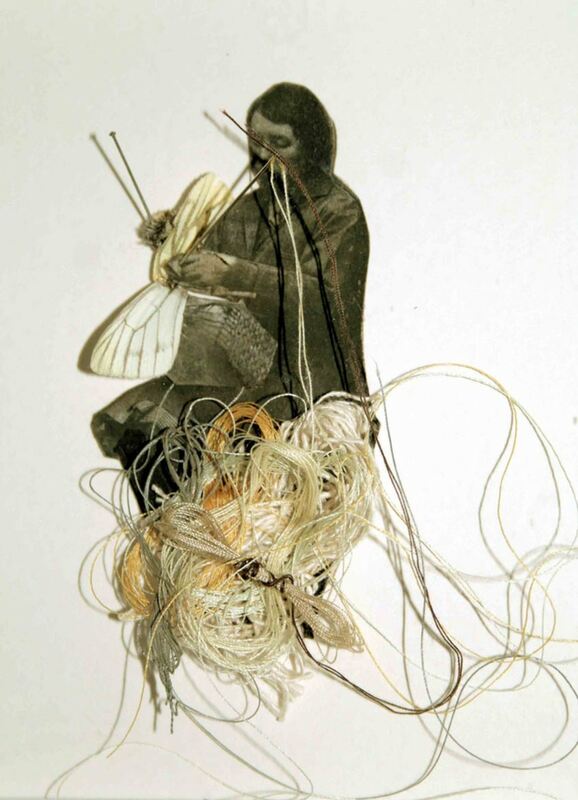 The portrayal of objects in her own memory is bringing universal messages to the viewer. She uses materials which are both found and processed and this diversity gives her the opportunity and freedom to invent metaphors which run parallel with the subject matter. Previously represented by Robert Sandelson Gallery, London, she has shown nationally and internationally and her work is held in many private and public collections. Self-portrait: “Find it bind it”, 2009, ©Louise Richardson.